This year, the IRS expects more than 150 million tax returns will be filed and over 70 percent of taxpayers will receive refunds. The average refund in 2016 was $2,860 – the IRS believes the numbers for 2017 will be similar. Your tax refund can be a meaningful amount of money that can make a difference in a household’s finances. When considering what to do with your tax refund, remember to be mindful. Here are some priorities for thoughtful ways to spend your tax refund. The first step would be to assess your debt. Review your current credit card situation and whether you owe money. If so, how much? Using a tax refund is a great way to pay down debt. Make sure to pay off the one with the highest monthly interest rates first. If your debt situation is urgent, consider allocating your entire tax refund. If there are a few smaller items you need to address, feel free to split your refund among various areas. Although you will not see the benefits right away, investing in your future is a great use of a tax refund and will cut down on your financial stress later in life. Depositing a portion, if not all, of your tax refund can go a long way in providing your retirement account with added flexibility and investment options in the future. If you have young children, consider funding a 529 college savings plan. Set up an emergency fund if you don’t already have one. It is important to put aside enough money for three to six months of living expenses in case an unexpected event occur. If you already have an emergency fund, consider padding it for more flexibility. Emergency funds should be an important piece of your financial puzzle as unexpected events can throw finances into disarray. If you are in an advantageous financial situation and don’t have a pressing need for the refund or just want to use the refund to help others in the community, consider making a charitable donation. Do some research to find a charity that aligns best with your values and is well run. This is a great way to use your tax refund to benefit your local community and leave a lasting impact. Many tend to forget that a tax refund is not bonus money, but rather money you already own that you overpaid in taxes throughout the year. So don’t make any impulse decisions, be thorough. If applied in the correct manner, it is an opportunity to help financial standing if allocated properly. 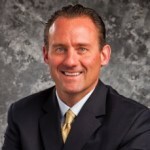 Todd Hauer is a Financial Advisor with the Global Wealth Management Division of Morgan Stanley in Denver. He can be reached at 720.488.2406 or todd.hauer@morganstanley.com.